Home to the seductive sirens in Homer’s Odyssey, Li Galli or Le Sirenuse are a group of three romantic atolls close to Positano on the Amalfi Coast. Il Gallo Lungo, the largest of the three, is shaped like a jumping dolphin and was once the beloved holiday home of Rudolf Nureyev, the world renowned Russian ballet dancer and choreographer. Nureyev purchased it in 1988 for $2.4 million and subsequently redecorated the island’s three-bedroom mansion with an extravagant Moorish design that reflected his artistic flair. Unfortunately, Nureyev could not enjoy his private haven for long, relinquishing the property when he died in 1992. However, it’s now possible to rent the island for an exclusive holiday – perhaps something to consider if you’re exploring Capri, Ischia and the Amalfi Coast on a superyacht. 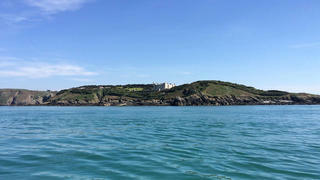 Business magnates David and Frederick Barclay bought the lease of Brecqhou, an island off the coast of Sark in the British Channel Islands in 1993. They built a gothic castle and the island was completely off limits to civilians until recently. The stunning gardens took years of work and landscaping to complete, and now select visitors can see an olive grove, organic fruit and vegetable garden, vineyard and carp pond complete with Monet-style bridge. Additionally, there's a football pitch, helipad, orangery, chapel as well as a public house called the Dog & Duck. The Barclay brothers are the co-owners of The Daily Telegraph and former co-owners of The European and The Scotsman newspapers. They own a number of well-known businesses including the Ritz Hotel in London, Littlewoods, and Yodel, while they also own property in Monaco. Business magnates David and Frederick Barclay bought the lease of Brecqhou, an island off the coast of Sark in the British Channel Islands in 1993. They built a gothic castle and the island was completely off limits to civilians until recently. The stunning gardens took years of work and landscaping to complete, and now select visitors can see an olive grove, organic fruit and vegetable garden, vineyard and carp pond complete with Monet-style bridge. Additionally, there's a football pitch, helipad, orangery, chapel as well as a public house called the Dog & Duck. The Barclay brothers are the co-owners of The Daily Telegraph and former co-owners of The European and The Scotsman newspapers. They own a number of well-known businesses including the Ritz Hotel in London, Littlewoods, and Yodel, while they also own property in Monaco. Located on the Rivière des Mille Îles (a channel of the Ottawa River) in Canada's Québec is Celine Dion's former private island Île Gagnon, on which she built an incredible mansion in the style of a French Normand Chateau. The island is only accessible by a private gated bridge and boasts more than 77,000 square metres of space with surrounding waters too shallow for most boats. Dion and her family moved to the lavish castle-like property in 2001 after a three-year renovation project. Having been on the market since 2012, Dion's stunning former home sold earlier this year (2016) for $25.5 million. Located on the Rivière des Mille Îles (a channel of the Ottawa River) in Canada's Québec is Celine Dion's former private island Île Gagnon, on which she built an incredible mansion in the style of a French Normand Chateau. The island is only accessible by a private gated bridge and boasts more than 77,000 square metres of space with surrounding waters too shallow for most boats. 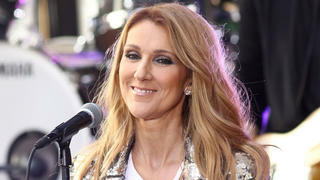 Dion and her family moved to the lavish castle-like property in 2001 after a three-year renovation project. Having been on the market since 2012, Dion's stunning former home sold earlier this year (2016) for $25.5 million. In the late noughties country singer power couple Tim McGraw and Faith Hill bought Goat Cay, a 17 acre island in The Exumas in the Bahamas. They built a 15,000 square foot holiday home, complete with lookout tower and mooring facilities. The island is now back on the market for USD $1,200,000, so who knows which famous face in need of a luxury getaway will take up residence in Goat Cay — it's the perfect spot for anyone keen on exploring The Exumas by superyacht. In the late noughties country singer power couple Tim McGraw and Faith Hill bought Goat Cay, a 17 acre island in The Exumas in the Bahamas. 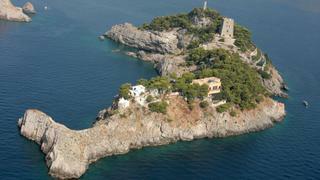 They built a 15,000 square foot holiday home, complete with lookout tower and mooring facilities. The island is now back on the market for USD $1,200,000, so who knows which famous face in need of a luxury getaway will take up residence in Goat Cay — it's the perfect spot for anyone keen on exploring The Exumas by superyacht. The Oracle co-founder and America’s Cup winner bought 98 per cent of this 140sqm island from billionaire David Murdock for €400 million-plus. Lanai has more than 3,000 inhabitants, and Larry Ellison aims to develop the island and boost infrastructure. The island was already home to two coveted Four Seasons and after some small improvements and a seven-month complete shut down, the Four Seasons Resort Lanai reopened for business this February. The second Four Seasons, the Lodge at Kōʻele, is expected to open in time for Christmas 2016. Johnny Depp discovered Little Halls Pond Cay, Bahamas while filming Pirates of the Caribbean. He named two of its six beaches Gonzo and Brando, in honour of his mentors Hunter S Thompson and Marlon Brando. The rest are named after members of his family. Johnny Depp reportedly made the most of the stunning Bahamian island by hosting a “wedding weekend” party following his marriage to Amber Heard in February 2015. 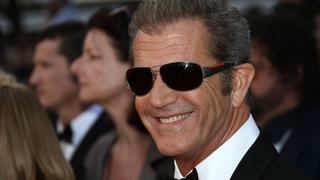 Australian Mel Gibson moved closer to his native land in 2005 when he bought Mago Island for an estimated €12 million. His lifestyle is reportedly down-to-earth: he runs a cattle farm and has met the local government about other farming and fisheries projects. Mago Island is one of the largest private islands in the South Pacific with an area of more than 5,000 acres. The Wolf of Wall Street spent €1.4 million in 2005 for 42 hectares on a two mile-long strip of tropical loveliness off the coast of Belize to plan an eco-resort. “Blackadore Caye, a Restorative Island” is scheduled to open in 2018 and will focus on improving the islands natural habitat, including the construction of a huge artificial reef. 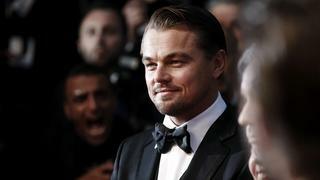 One of the most high-profile celebrities promoting eco awareness, last year Leonardo DiCaprio donated $15 million to environmental charities. Did Jurassic Park give Hollywood director Steven Spielberg the idea to (reportedly) buy two islands in a group of volcanic outcrops? He is said to use the two islands, which are in an undisclosed location in the Madeira Archipelago, to spend quality time with his family. Neither of the islands, off the coast of Portugal, are believed to be inhabited. 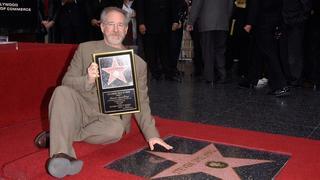 Steven Spielberg also owns the 86 metre Seven Seas and in 2013 took the luxury yacht on a 30,000-mile round-the-world cruise. Colombian singer Shakira teamed up with Pink Floyd’s Roger Waters and Spanish singer Alejandro Sanz to buy this €13 million white-sand-fringed island in 2011. The aim is to turn Bonds Cay into a low-density, carbon-neutral, luxury destination that will be an inspirational retreat for artists. The island is just over 120 miles off the east coast of Florida and has five beaches, including a private cove beach, and three salt pond lakes. Colombian singer Shakira teamed up with Pink Floyd’s Roger Waters and Spanish singer Alejandro Sanz to buy this €13 million white-sand-fringed island in 2011. The aim is to turn Bonds Cay into a low-density, carbon-neutral, luxury destination that will be an inspirational retreat for artists. The island is just over 120 miles off the east coast of Florida and has five beaches, including a private cove beach, and three salt pond lakes. 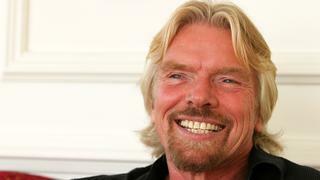 The Virgin boss bought Necker Island – uninhabited until the late 20th century – for a mere $180,000 in 1978. Since then, Princess Diana, Tony Blair and Nelson Mandela have been guests. 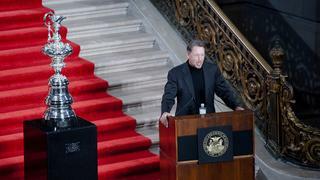 Ben Ainslie also became a surprise guest earlier this year when he had to be rescued by Richard Branson during his honeymoon. Developed with a Balinese theme the island can now accommodate up to 28 guests and it is possible for luxury yachts to anchor off the leeward side of the island. “I immediately fell in love with Necker Island when I visited it for the first time,” he says, “ I am very passionate about it, what with it being my home and spending most of my time there. My most treasured memories are pretty much all from times spent with friends and families on holiday on Necker.” Branson purchased nearby Mosquito Island in the British Virgin Islands in 2007 which also offers luxurious getaway on an exclusive-use basis for 22 guests. The Virgin boss bought Necker Island – uninhabited until the late 20th century – for a mere $180,000 in 1978. Since then, Princess Diana, Tony Blair and Nelson Mandela have been guests. Ben Ainslie also became a surprise guest earlier this year when he had to be rescued by Richard Branson during his honeymoon. Developed with a Balinese theme the island can now accommodate up to 28 guests and it is possible for luxury yachts to anchor off the leeward side of the island. Branson purchased nearby Mosquito Island in the British Virgin Islands in 2007 which also offers luxurious getaway on an exclusive-use basis for 22 guests. 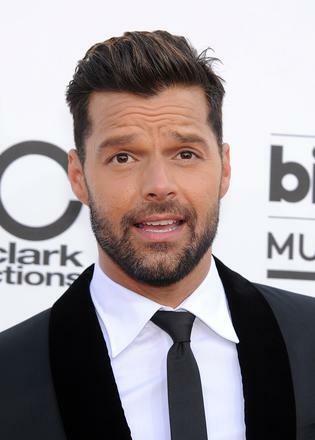 Livin’ La Vida Loca meant that the Puerto Rico-born singer Ricky Martin felt in need of an island hideaway. That song also ensured he could afford one. So in 2008 the Latino heartthrob reportedly spent €6.4 million on an island off the coast of Rio de Janeiro in the stylish resort region of Angra dos Reis. The name of the island has never been revealed but the area has some of the most scenic islands in the Southern Hemisphere. Plus it is also a handy location if Ricky fancies enjoying this year's Rio Olympics on a luxury yacht. Hollywood star Eddie Murphy reportedly paid €12 million in 2007 for Rooster Cay in the Bahamas. However, there are some conflicting reports that suggest that the Bahamian government still owns the island and that it has only ever been leased to individuals. The six hectares of unspoilt beauty is just a quick hop away from buzzing Nassau. The comic actor is no stranger to the business of buying a private island having previously owned a smaller island nearby called Pearl. 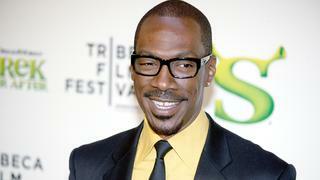 Hollywood star Eddie Murphy reportedly paid €12 million in 2007 for Rooster Cay in the Bahamas. However, there are some conflicting reports that suggest that the Bahamian government still owns the island and that it has only ever been leased to individuals. The six hectares of unspoilt beauty is just a quick hop away from buzzing Nassau. The comic actor is no stranger to the business of buying a private island having previously owned a smaller island nearby called Pearl. 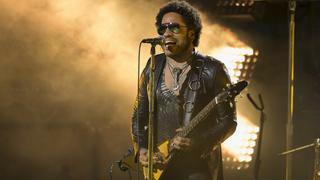 So US rock star Lenny Kravitz doesn’t own this island but we love the way he lives there: with his dog in an Airstream trailer, just off his private beach, a short stroll to his surf-side recording studio. "I have a few shirts and a couple pairs of pants, and all I do is hose them down, hang them up and rotate them," Kravitz told Rolling Stone. "I have no keys, no shoes and no money. I just live, and it's good." So US rock star Lenny Kravitz doesn’t own this island but we love the way he lives there: with his dog in an Airstream trailer, just off his private beach, a short stroll to his surf-side recording studio. "I have a few shirts and a couple pairs of pants, and all I do is hose them down, hang them up and rotate them," Kravitz told Rolling Stone. "I have no keys, no shoes and no money. I just live, and it's good."